As you’ve seen from the trailers, visually the film is astonishing. Sarah kept telling me she was worried about the “desert”-ness of it all and that’s not usually my jam either but the endless sand and tan just highlights the absurdity of everything that much more. Like, I will never understand why they need a tweaked out guitar player and barely tolerable music screeching from the speakers whenever they go on a car chase but if that happened on a freeway in Los Angeles, it wouldn’t be as awesomely ridiculous as it is when it’s happening on top of the bleakness of the Mad Max landscape. And besides, these visuals actually complement the tone of this world: in a depraved existence, everything has to be extra. Even bravery…so that when a boy soldier willingly sacrifices for his dictator, the act itself is not enough, he has to spray toxic silver paint on his mouth before he hurls his body out of the car, ready to be annihilated. This is obvious symbolism. But it doesn’t mean it’s not potent. As for the story… pretty simple: there’s a gross dude who controls the people. Charlize Theron’s Furiosa defies him. She needs a reluctant Mad Max to help out. Many people have already noted that Charlize is the movie’s soul. And it’s true. She’s the one who has all the dimensions. She’s the one who, literally, spends most of the time driving. She’s the only one you can’t replace. Which is interesting because it took them 30 years to find the new Max in Tom Hardy. And it’s Charlize who comes out of it owning the role –and the movie – so unequivocally that the conversation has become instead about how no one else could have done what she did. That said, if you’re a Tom Hardy fan… the money shot comes at the very, very end. The last shot. That’s the one you’ll be taking to bed. 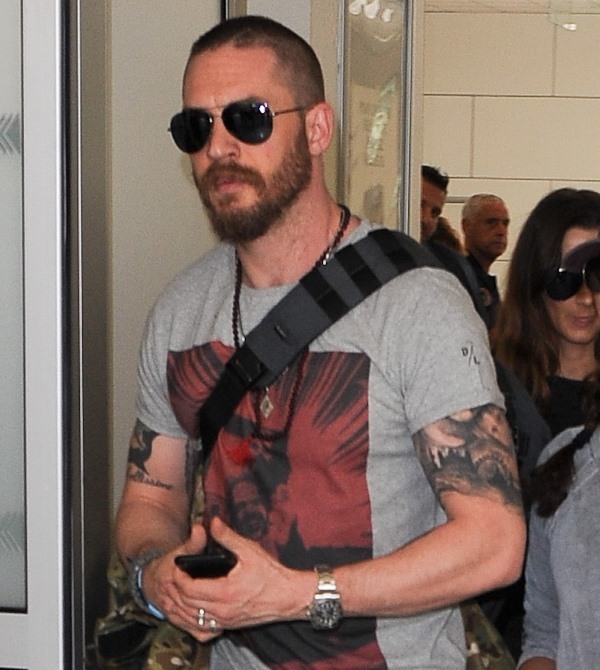 Attached - Charlize in Cannes and Tom Hardy arriving at the Nice airport yesterday ahead of the festival.